With advances in banking technology, a new style of banks is emerging. 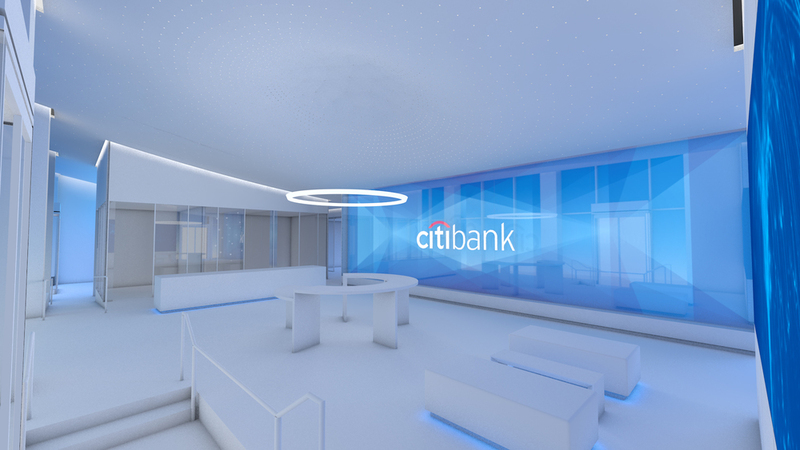 Citibank is seeking a more transparent and inviting space for in-branch banking that can allow their customers to experience an environment that can be educational and enjoyable. 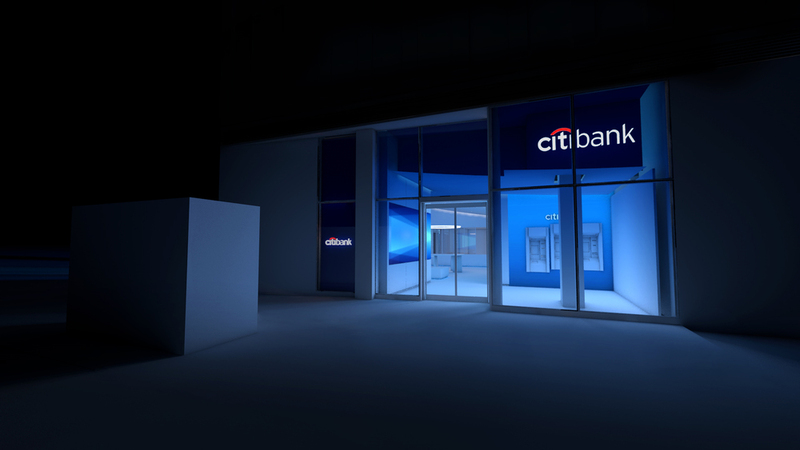 With a neighborhood like Bryant Park booming with community programs and amenities, the concept seeks to not only harness that energy but give back to the community and bank visitors. The branch is situated on a corner with exposure from E 40th ST. and Ave of the Americas. 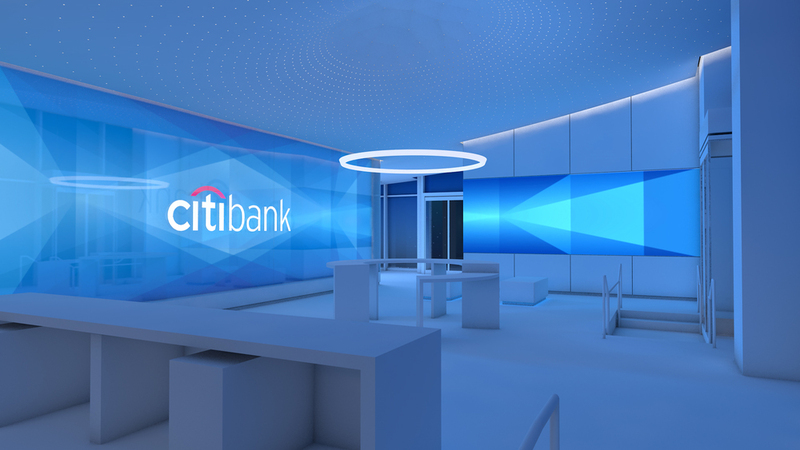 An artistic feature wall, visible from both elevations, displays a Citibank logo floating in a field of the iconic blue wave. 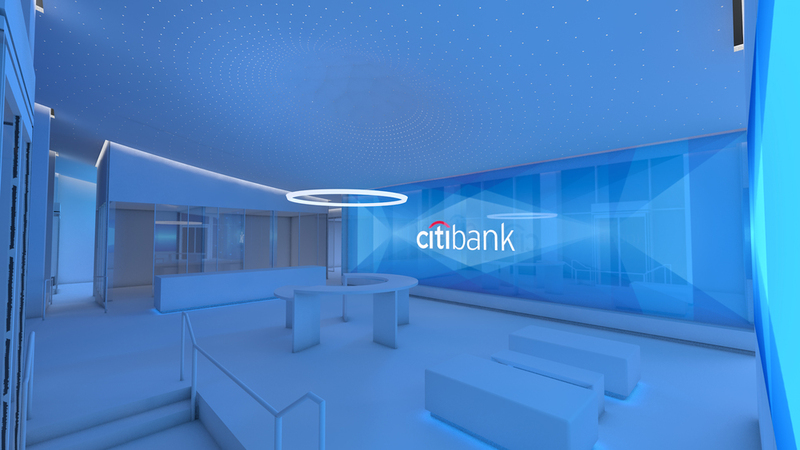 As the Branch closes, the wall comes to life with gentle prismatic light movement. An array of high resolution displays, located on the interior wall around the MTA staircase, showcase financial information on the markets, information on available products, and customer service queuing. Situated in the center of the space is a series work stations for learning the details on products offered and signing up for private sessions. The ceiling of the space slopes from the window mullion on E 40th ST. to the top of the feature wall and beyond to the perimeter wall. The ceiling is perforated to allow for soft indirect light to reflect down from above the aluminum finished surface above. 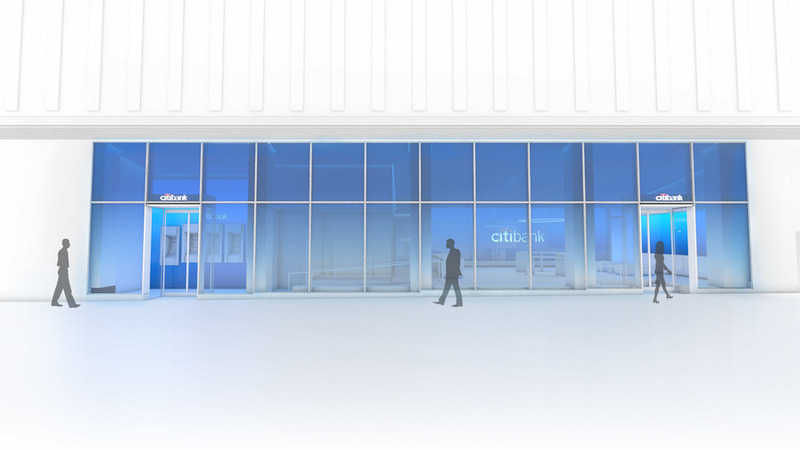 The lights are fully addressable and are able to assist customers with way finding throughout the branch as well as abstractly represent conditions in the financial marketplace. Additionally, a convex in the ceiling above the workstations creates a focal point for customers to gravitate towards. Hanging between the ceiling convex and workstations is a simplistic halo light fixture that helps inform customers when work stations are available or assistance is needed by an associate in the branch.